Next meeting 2nd May 2019, it’s showtime once again. Our next meeting on the 2nd May 2019 is a showtime meeting, it’s your opportunity to to show the members what you have made over the past few weeks. It will be the same format as on previous occasions, each person will get the opportunity to present their work and give a short presentation on what they have made. A good turnout will be expected and we would like to see as many entries as possible especially from some of the newer members. You will all get a seat and the cameras and screens will be in use. Here are some pictures of some of the entries on a showtime meeting held on February 2018. More pictures of some of the item shown on the February 2018 meeting, the skeleton clock in the middle picture was shown by one of our most recent members at the time. These pictures were taken at the June 2018 showtime meeting, as you can see a wide range of turned items were shown. More pictures taken at the June 2018 showtime meeting, 3 very interesting items, John Ruickbie’s Mons meg cannon on the left, David Ross’s laminated and pierced bowl in the centre and Gordon Leitch’s Monkey puzzle bowl on the right, all expertly done. These are pictures from our last showtime meeting held in August 2018, again a wide range of turned ware. More pictures from our last showtime meeting held in August 2018. It never ceases to amaze me at the diversity and quality of the work presented at one of our showtime meetings, so do keep on showing your work, your friends and fellow members all like to see what everyone is making and we can all learn from each other by sharing our experiences. 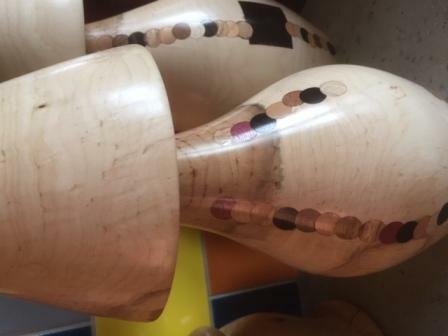 Report on our meeting on 18th April 2019, making repairs in woodturning. 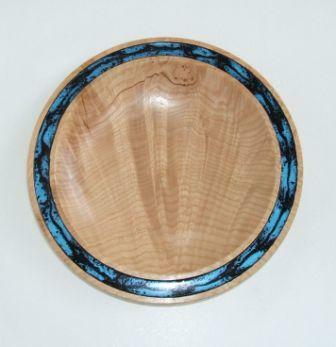 Our club meeting on the 18th April 2019 was organized by David Hay, his main theme for the meeting was how to make repairs in woodturning. David would be the main contributor to this type of work, however he had also arranged for 3 other members to be demonstrating their own things, these were David Hutcheson on a lathe, he would make a container for holding and storing sanding sealer, Mark Sutton also on a lathe, he would make a small Japanese style tea bowl, and Mark Dale was tasked with doing some hand carving and would make a large spoon or serving ladle. The turnout of members was very good and the evening went well, each demonstrator seemed to get a fair share of the attendees. For a larger picture and some text, click any picture. 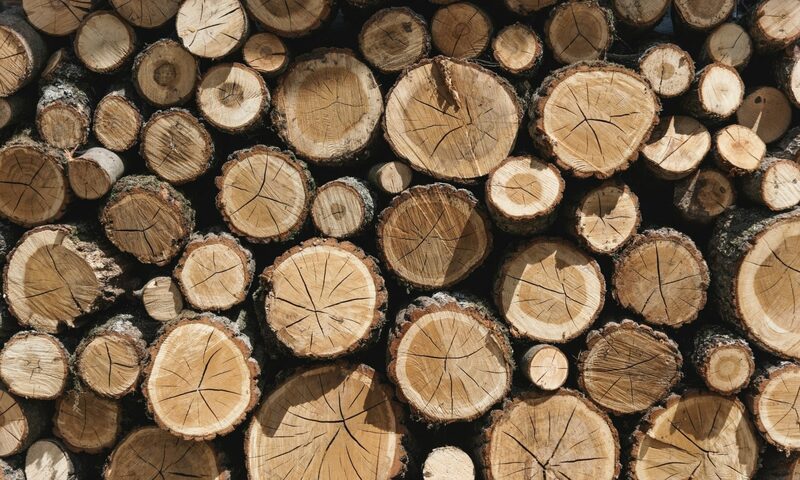 Our next meeting on the 18th April 2019 has been organized by David Hay, his topic for the meeting is going to be working with wood that has defects and how in most cases this can be overcome and indeed even enhance the appearance of an item. In addition to what David is doing himself, he has arranged for 3 other members to be doing their own things, 2 are going to be turning, David Hutcheson and Mark Sutton, and for a special treat Mark Dale is going to do some carving. Mark Sutton’s attendance is still to be confirmed, after contacting him today his attendance will depend on his workload, but if he is there he will be making a Japanese inspired tea bowl. This is the type of thing David Hay is going to demonstrate, the one on the left had 2 long shakes running lengthwise and David has used a series of plugs to hide the defects.The 2 other pictures show a whole series of cracks had to be hidden resulting in dozens of plugs being inset to hide the cracks. This is a bowl of my own that was treated in exactly the same way,the picture on the left shows the crack being repaired with the plugs, the middle picture shows the extent of the plugs used, and the picture on the right shows the finished bowl, I had no problem accepting there would be a hole (or as we turners like to call it,”a natural element”) in the finished bowl, you will see that the plugs have been exposed on the inside as well, that’s something you need to take into consideration if applying this method to a bowl, you need to make the plugs long enough to be able to reveal them on the inside too. 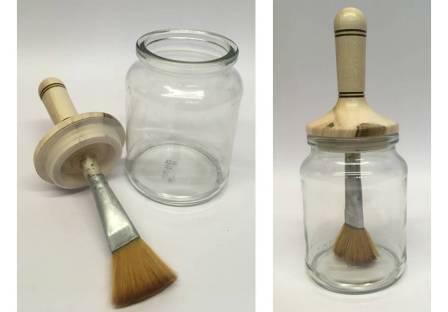 After doing the original post I got an email from David Hutcheson with what he is going to do at the club this Thursday, he is going to make a sealer pot from a jam jar, this is a very useful item to have as it gives you the ability to judge the amount of thinning you put into your sealer much better than just guessing how much to put in the tin. An excellent project to do and you should all make one. If I get any more changes to the programme before the meeting I will update the post, but if not we look forward to a good turnout and we hope you find the meeting interesting and informative. The recently revised constitution is now available to members for review. Our meeting on the 4th April 2019 was mainly about the use of a bowl saver tool, this tool gives the user the ability to take more than 1 bowl out of a single blank making it a very useful tool especially if the blank is quite unusual or expensive. David Hay was the demonstrator and he did an excellent job of demonstrating exactly how it worked. In addition to the bowl saver demonstration, David had also arranged for 3 more turners to work the lathes, all of these turners were doing different things on the lathes, Colin MacKenzie was making a shallow platter in native Elm, Douglas Stewart was making wooden fruit, he did an apple in Yew wood and a pear in Cherry wood, David Hobson was making finials out of a piece of Mahogany. The turnout was very good, the evening started with the committee having one of their regular meetings prior to the start of the main meeting. If you want to see a larger picture and some text click on any picture. Next meeting, 21st March 2019, working with natural edges. Our next club meeting on the 21st March will be all about making things with natural edges, there should be 5 turners working the lathes, Bill Munro, David Hutcheson, John Ruickbie , Bob Chisholm and myself. 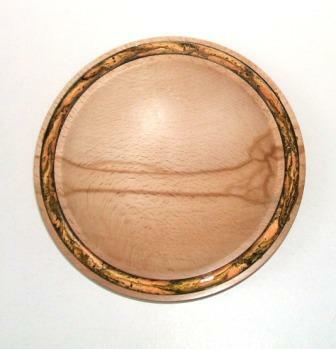 Using wood where the natural edges are left intact lends itself well to bowl making and I’m sure there may be more than one turner doing exactly that, but natural edges can be left on a variety of turnings in both bowl work and spindle work. Below are a few of the different items that can be made with natural edges. 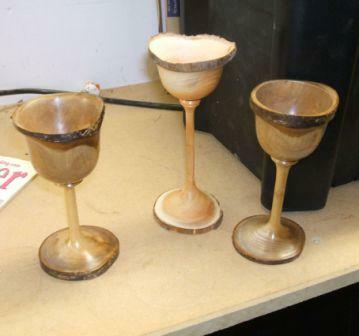 Here are 3 very different types of things made using the natural edges, left, is an Ash bowl made from a log where more than 1 branch intersected the main stem, centre, an Elm burr that has been turned into a shallow bowl leaving all the irregular shape round the outside, right, a Laburnum bowl that has been made making use of the end grain, this gives the appearance of 3 different woods, when in fact what you are seeing is the heart wood at the bottom, a middle layer of sap wood and the bark layer on top. 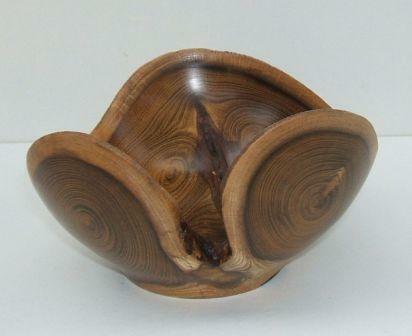 These 3 are all made from Laburnum, left, is a bowl made from the intersection of 2 branches that grew away from the main branch, centre, this one is also from an intersection but this time I cut it further away from the meeting point to create the gap at the front of the bowl, right, this one comes from a straight log of about 150 mm in diameter and cut in length to about 200 mm, giving you the boat shape when turned. These are examples of natural edges being left on some spindle work. Far left, a Banksia nut turned into a Mushroom with the natural edges left on both the base and the head of the Mushroom, Left, a Christmas tree decoration made from a piece of Laburnum with the natural edge being left on the base, you will note the tree has been turned off centre, Far right, another Mushroom, this time made from a branch of Yew with the natural edges left on both the base and the head. Right, a piece of Elm burr made into a Candlestick, the only turning on this item was to level out the base and a small amount of turning to the top where the brass candle cup was fitted. These 8 pictures show the piece of Laburnum I started with and the sequence of events in turning the bowl and the finished article. I hope these pictures give you some idea of what can be done with some very unpromising pieces of wood, it is my conclusion that there are no unpromising pieces of wood, there is something that can be made from anything, it’s thinking what can be done that’s difficult. Club Demonstration 7th March 2019, working with Pebeo paints. 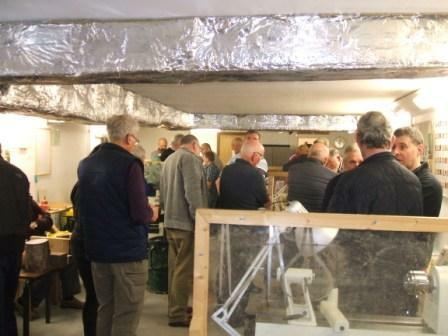 Our club meeting on Thursday 7th March 2019 was a demonstration by Alec Mutch on the use of Pebeo paints in woodturning. These paints can be used to enhance the appearance of an otherwise plain or bland piece of wood, making their use very valuable. The following set of pictures will take you through the making of a shallow plate and also the paints being put to use. Most of the pictures were taken by Richard Comfort with a few of my own taken at my workshop. The turnout for the meeting was excellent. For a larger picture and some more information, click any picture.